Yes, Virginia is the national champion. Yes, the NBA Draft coming and going is still being resolved. But we’re all in. We’ll take a shot at next season before the dust settles on the current one. Here’s how we see the SEC standings in 2019-20. The ‘Dores went 0-for-the league, fired their coach, and won’t return a decent chunk of their most talented players. Maybe Jerry Stackhouse works out, but the move smells like desperation, not like a program that was one of the league’s best not that long ago. Look, we love the Buzz Williams hire, too. But the Aggies were terrible this past season, and they don’t have much help coming in recruiting. This feels like a long first year for Buzz. He’ll turn it around, but probably not in 2020. If it weren’t for bad luck, the Tigers wouldn’t have any luck at all. The whole Porter experiment has delivered tons of potential but virtually no results. Missouri does have some talented young players, but it’s continuing to look like Cuonzo Martin is coaching this team from under a curse. As with A&M, probably a good hire in getting Eric Musselman. As with A&M, the cupboard is pretty bare, particularly with Daniel Gafford apparently gone. The Razorbacks will need some patience this season. Kermit Davis had a stellar first season in Oxford, and will continue to make opponents fight for everything they get against the Rebels. The potential loss of Breein Tyree is a big one, though, and without him and departing senior Terence Davis, Kermit 2.0 might lack the kind of game-changers to make the Rebels ultimately successful. The Bulldogs stand to lose Quinndary Weatherspoon and possibly freshman Reggie Perry, among others. While they will add 4-star forward Elias King, State looks likely to be playing at a similar level next season as it did this season. Nate Oats is the league’s new coach (pending whatever happens at LSU) in the best shape to make a 2020 run. Donta Hall is gone, but the Tide are slated to add 3 top-100 signees to the mix, and could well be a dangerous team next season. Hey, they beat Kentucky in 2019. How good is Anthony Edwards? Enough to take an 11-21 team from last season into the NCAA Tournament this coming season. But maybe not good enough to make them a real challenger for the league title. Hardest team to rank. Yes, the Tigers won the league. Yes, most of their stars are testing the NBA waters, and their head coach is in NCAA/administrative limbo. Things could shake down to where LSU is a factor in the league next year. Or they could be on probation with a new coach and most of the players you remember playing someplace else. Either is possible. Carolina was noticeably better in league play than they were in November. Look for that to carry over to next season. The last remnants of the Final Four squad are departed, but whenever people count Frank Martin’s teams out, they just defend the heck out of you and sneak back in. A reminder — Carolina had the same SEC record as Auburn this year. Good work by Phil Fulmer keeping Rick Barnes around. Sadly, the Vols probably don’t keep Grant Williams or maybe Jordan Bone around — and Admiral Schofield is finished too. UT will return some athletic wing players, a few big bodies, and will add 5-star guard Josiah-Jordan Jones. If Bone comes back, UT will be immeasurably tougher in November and December. The Gators lose some solid seniors from a team that was lucky to sneak into the NCAA field. But they do add Scottie Lewis, who might be the SEC Freshman of the Year for 2020. Point guard Tre Mann and center Omar Payne are also big-time talents, and this group gives Mike White the upward mobility to have Florida in place as the surprise challenger to the SEC throne next season. Hey, the Tigers did have that whole Final Four run to their credit. Yes, Jared Harper is apparently gone, and Bryce Brown is definitely gone. 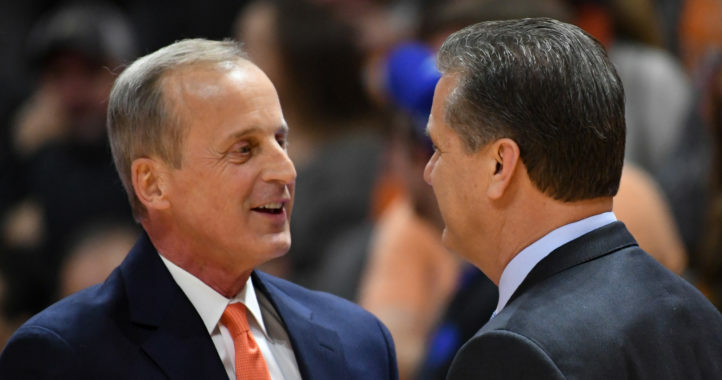 But the Tigers are likely to return a fair amount of their firepower and add to it with a solid recruiting class, including small forward Isaac Okoro. Nobody is going to want to play Auburn in March. 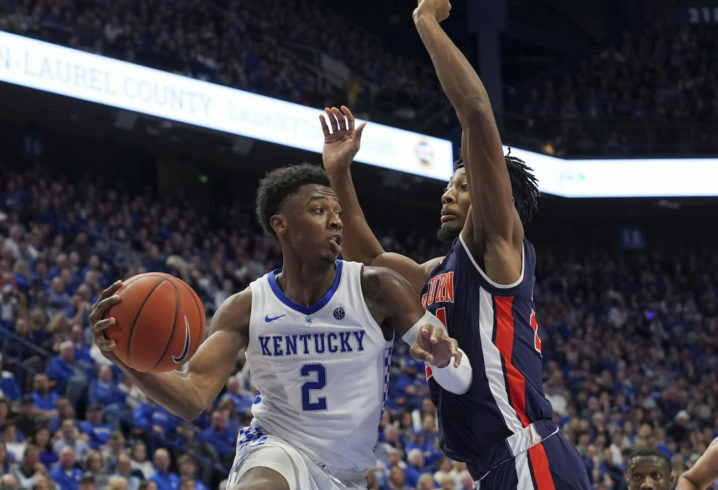 With the return of Ashton Hagans, it’s clear that Kentucky will return at least some of the players who got them to the Elite Eight. Meanwhile, they’ll add a top 3 recruiting class and senior transfer Nate Sestina. This far out from the season, there’s not a ton of confidence in this projection, but it makes sense to start UK on top. Joe Cox is a columnist for Saturday Down South. He has also written or assisted in writing five books, and his most recent, Almost Perfect (a study of baseball pitchers’ near-miss attempts at perfect games), is available on Amazon or at many local bookstores. I would have LSU # 14. We don’t even have a team as of now. Good God, we’re going to drown in all this Ant-man Edwards koolaid. Dawgs will be postseason bound next year in basketball. Crean will turn it around. Gotta have faith Kirby. After Smart’s first year in Athens he was 8-5 with a loss to vandy. Some were questioning if he had it in him.. turns out he does. Crean will have it turned around..
Kirby, embrace it. Edwards is a man-child. You’ll only have him for one year, but enjoy it while you can. I agree with Joe Cox. Mizzou has squat for luck. The Porters, Kim Anderson disaster, NCAA ban. Just terrible. On the bright side, things have a way of balancing out so we should start seeing some good bounces. I would love to see the Missouri Tiger bball team show some of the fight and victories we had in the big 12. Their luck has been downright criminal over the last few years…however, I believe they have a team next year that will finish at least a few rankings higher than 12. Honestly, I’m getting a little tired of people throwing rankings out there this early. update: if Tilmon does stay in the draft (just announced)…Mizzou will have major problems next year.